Located just north of Delray Beach in Palm Beach County, the city of Boynton Beach may seem picturesque given its location near the Atlantic Ocean. However, all the sunshine and ocean waves cannot conceal the many dangers that exist even in this small Florida community. When others do not take care and consider how their own actions and inactions might lead to a personal injury accident, then it is only a matter of time before you or a loved one find yourself seriously injured and in need of legal assistance from a qualified Boynton Beach lawyer. Aside from the physical pain and limitations that accompany a personal injury, such events can take a toll on you financial and mental well-being as well as that of your family. While a damages award received through a Boynton Beach personal injury lawsuit is not able to undo the harm you and your family experience, such a trial award can help alleviate many of the financial concerns you may have and help you focus on your recovery. When another person causes you to experience injuries and losses because the person has behaved in a careless or negligent way, a personal injury claim can result in a judgment requiring that person to compensate you for your losses and expenses. 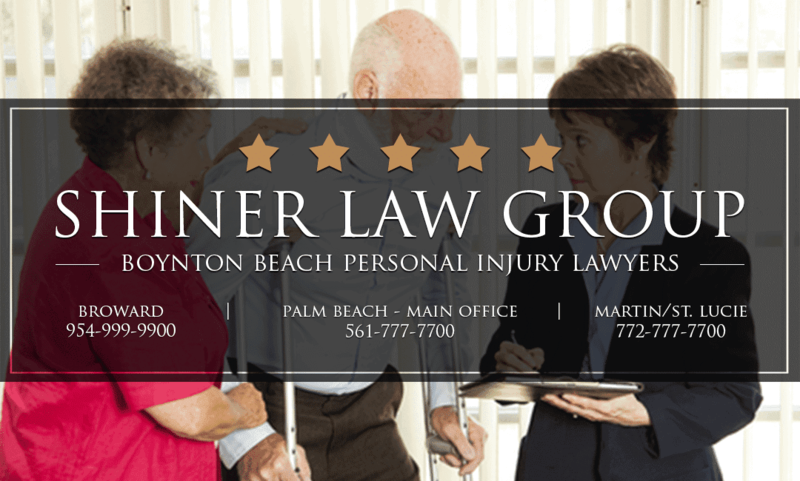 The lawyers at the Shiner Law Group have been representing injured individuals in Boynton Beach Florida for more than 15+ years. Our Boynton attorneys are familiar with the local streets and roads where many car accidents and other types of injury cases usually occur. Over the years many residents of South Florida have contacted our law firm to discuss their injury claims. Do you need a Boynton Beach lawyer to discuss your personal injury case call for a free consultation to discuss how much money our lawyers can get for you? The personal injury lawyers at the Shiner law firm fight to get you the most financial compensation possible. Are you concerned you may not recover the most compensation? Mental pain and anguish and other mental and emotional harm you experienced as a result of the injury and resulting limitations. The law permits you to recover compensation for those economic and noneconomic losses – including those you have already experienced and those you are reasonably likely to experience in the future – so long as (1) you can establish with reasonable certainty the amount of the loss; and (2) evidence shows that those losses and expenses are the results of the negligence of another person. How Long Before My Personal Injury Case Settles? Wrongful Death lawsuits resulting from car accidents or other types of negligence. Speaking with the Shiner Law Group as soon as possible following your personal injury in Boynton Beach is the first step toward successfully resolving your claim and receiving the compensation you need. We will fight diligently to advance your rights and help you obtain monetary damages so you can begin to reassemble your life and move confidently into the future. 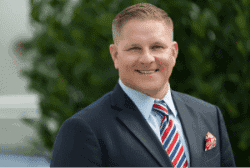 Our accident attorneys at our Boynton Beach accident law firm are located in Palm Beach county, and our lawyers have been working with injured victims who have personal injury cases from Boynton Beach, Boca Raton, West Palm Beach, Lantana, and Lake Worth for years and we are ready to represent you. Contact the Shiner Law Group today by calling 561-777-7700 or reaching out to us online for a free case evaluation.